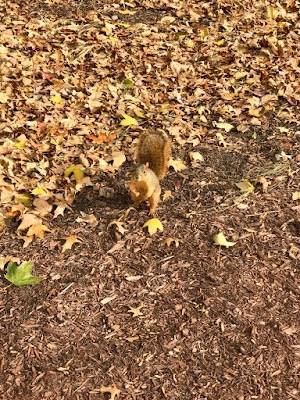 While groundkeepers at Notre Dame like to maintain a tidy campus, keeping the fall foliage on the ground to a minimum, our furry friends would like that they do just the opposite. 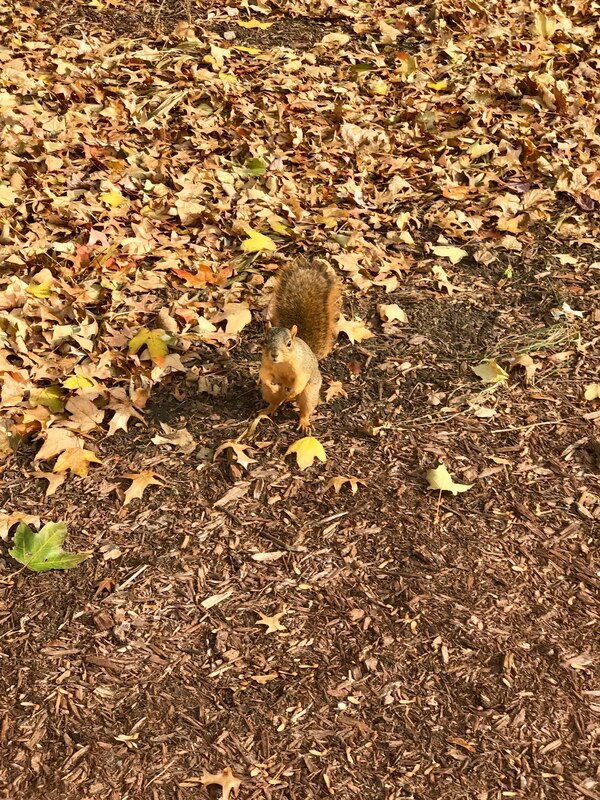 Yes, the squirrels would like the fall leaves to hang around on the ground for as long as possible. Why? Well, several reasons. Fall leaves are great for making their winter nests just a bit warmer, but more importantly, they provide great camouflage. And having a lot of camouflage is really important especially when you have a hawk sharing your neighborhood. Yes, there's a hawk hanging about God Quad! On hanging about the leaves, our furry friend non-verbal, "Get lost! You're drawing attention to me."